I’m not sure exactly when this screen capture was taken, but I would have to guess some time in early 2008 based on my gamerscore (it is now over 35,000, not that you give a crap.). I have blocked out people who should have never existed and spraypainted cool people out to protect their identities. 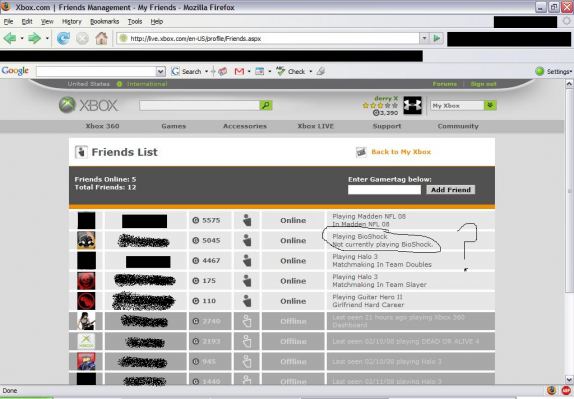 The reason I took this capture from the xbox.com Friends Management page was what I have circled. God what I wouldn’t give for a big juicy burger right now!